What just happened? Footage of what is alleged to be a PC version of Red Dead Redemption 2 hit YouTube but was quickly taken down (fortunately, not before copies were made and posted elsewhere). The 25-second video purportedly shows a user pausing the game, going into the settings -> display menu and adjusting the resolution. 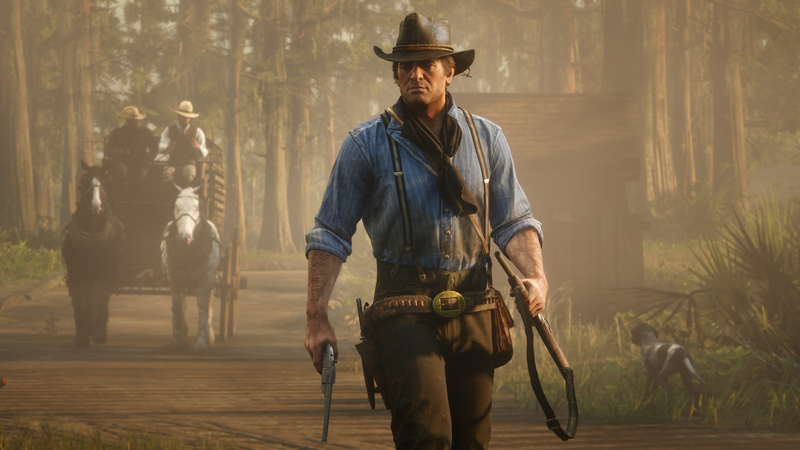 Red Dead Redemption 2 has already taken home multiple awards in its less than two months on the market but it’s not yet eligible for nomination in one key category: best PC game of the year. Members of the PC Master Race have been biding their time until Rockstar announces a version of its horse opera for the computer but to date, the publisher has remained mum. A recent “leaked” video published on YouTube, however, is giving PC enthusiasts newfound hope for an eventual launch. In traditional “leaked” footage style, it’s quite blurry. So, is it real? Well, maybe. Arguments can be made for and against the authenticity of the video’s contents. At first glance, it passes the eye test. The mouse movements seem fluid enough. The fact that it was published then quickly pulled adds a bit of validity. The correct “Enter” and “ESC” key bindings are there for select and back functions, respectively. If you look closely in the clip, you can see “Build 1116.8” in the bottom left corner of the screen in the settings menu. According to Rockstar, this is the Day-One Title Update that was issued for PlayStation 4 and Xbox One. One would surmise that a PC version (and one that is still in development) might have a different build number, but maybe not? Also suspicious is that we don’t hear any mouse clicks or keyboard key presses in the video. What’s more, one would expect there to be more graphics options than those shown although perhaps the user simply didn’t scroll down far enough? What are your thoughts? Real or fake? Let us know in the comments section below.